There are many things that will amaze you in Nepal. We recommend itineraries that make the most of trek highlights along the way. Including detours for better views, and incredible day hikes when we spend two nights somewhere to acclimatise. 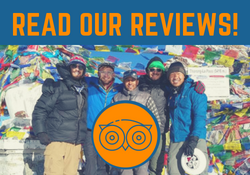 Our aim is to make sure you have the most enjoyable and authentic experience in Nepal. We’ll add to our list of highlights over time!